Will Birmingham join the United Football Teams of America? Will Birmingham play in the United Football Teams of America? 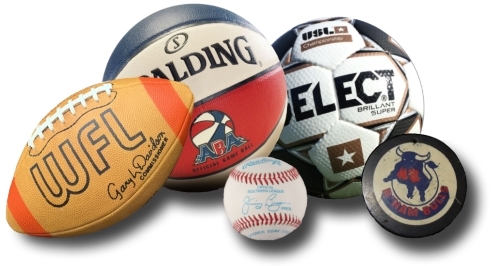 Jim Chambers, a Houston-based tax accountant and real estate broker, announces he is forming a new football league named the United Football Teams of America. He lists Birmingham as one of the cities the league wants represented. Chambers is designing his semi-pro fall league to be a springboard for players into the planned United States Football League, a professional spring league that hopes to kick off in 1983. The original goal of the UFTA was to unite the small semi-pro football leagues that dot the country. As plans have progressed, the UFTA is now planning to help create new teams for their inaugural season, which will being in a few months. The league will be divided into four divisions. The Central Division will have teams in Birmingham, Little Rock, Memphis, Shreveport, Monroe, and Jackson. The Western Division will be teams from Longview, Lufkin-Nacogdoches, Huntsville, Houston, Pasadena, Brazosport, Beaumont, and Lake Charles. The Northern Division will be Kansas City, Wichita, Tulsa, Oklahoma City, Fort Worth, and Dallas. An Eastern Division will include Atlanta, Montgomery, Mobile, New Orleans, Baton Rouge, and Lafayette. Players and coaches will get paid at the end of the season, if their team makes a profit. If so, they will be paid 1% of the net profits. Players are expected to buy their own equipment and pay $300 for their team uniform. "When you think about it, (paying for a uniform) is cheaper than most hobbies," Chambers said. Chambers is optimistic his vision will succeed, "We've got a long way to go, but we're organized. What we're trying to do is make minor league football a legitimate segment of professional sports." Roger Gill, the commissioner of the American Football Association, scoffs at the thought of his league being threatened by the UFTA. "Jim Chambers is a friend of mine and I can tell you this league is a big joke. It's like sandlot football, club football. Players will have to buy their own equipment to play in. Most of the talent will be maybe just a little bit better than what you see on high school football teams. I'm worried about the USFL. They've got some megabucks behind them and we'd like to get to that plateau one day." The grand plans for the UFTA are shrinking by the day. Where there were once plans for a four division, 24 team league, current plans call for a two division 10 team format. Birmingham is not part of the current plans, however. Against all odds, the United Football Teams of America played an entire season in the fall of 1982, but it would be their only season. And, there were even a few players from the UFTA that made it into the USFL. 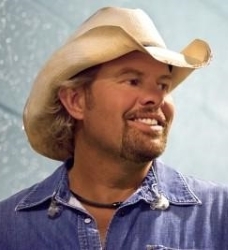 One of the most interesting facts about the league is that country-western singer Toby Keith played for the UFTA's Oklahoma City Drillers.